In the past two weeks the world has been inundated with constant news and talk about Michael Jackson and his untimely death. Over his 45-year career, he made pop music history and developed the music video into an art form (who doesn’t remember “Thriller”?) and his influence can be seen clearly through the spike in social media upon the news of his death. And how do we quantify this spike? Enter Toronto-based MaRS client, Sysomos. Their analytics software allows you to monitor social media for business intelligence purposes. Sysomos collects data from blogs, Twitter, social networks, messages, boards, wikis and major news sources — and delivers results as quickly and easily as a Google search. You’ll see what’s happening, why it’s happening and who is talking about it for any given person, event, product or thing. 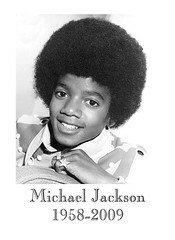 There’s certainly no better phenomenon of late to see social media in action than the news of Michael Jackson’s death. Internet traffic spiked so highly that websites and blogs crashed. Check out Sysomos’ recent blog on the social media spike about him on the day of his death. Interestingly, 25% of all blogs were written by people under the age of 20 (many of whom might not have been born yet when “Thriller” was released) illustrating Michael’s long lasting influence as the King of Pop even when he hasn’t released an album in six years. Sysomos: What are people saying about Michael Jackson? Sysomos’ data found that the most social media traffic was from the U.S. (21.1%), Germany (8.6%), the U.K. (7.1%), the Netherlands (5.3%), Brazil and France (4.4%), and Malaysia (3.9%). The results also map the words that have been used most often in its BuzzGraph which gives us a clue as to what people were talking about as well. Some say the never-ending media buzz is too much and there are more important things to talk about than Michael Jackson. However there is no question that everyone is talking about him – from the mainstream media to individual bloggers to co-workers at the watercooler. It is one of those events you will remember regardless of how you feel about “Wacko Jacko”: Where were you when you heard that Michael Jackson had died and with whom did you talk about it?